Corinth Hotel's Staff Offers Southern HospitalityExperience Southern hospitality during your stay at the Holiday Inn Express Corinth hotel. The hotel's location in historic Corinth, Mississippi offers visitors a chance to explore this town known for its role in the Civil War, as well as its rich railroad history.The hotel's location in Corinth, MS is near major businesses, including Caterpillar, General Electric and Kimberly-Clark. Also nearby is the aerospace company ATK in Iuka, MS. The hotel's guests appreciate convenient business amenities, too, including the complimentary high-speed, wireless Internet access and spacious desks in every room.Corinth is a history buff's paradise. Home to some of the most extensive Civil War fortifications in the nation, the city is one of the primary access points for the Shiloh National Military Park. 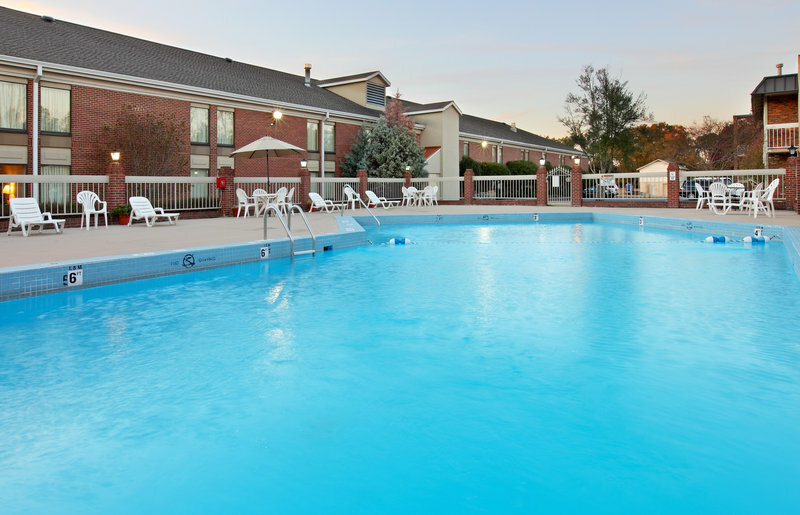 Recreational activities abound in the area, with multiple golf courses near the hotel and facilities such as Crossroads Regional Park and Pickwick Lake nearby.Lodging at this Corinth hotel exceeds all expectations. Guests enjoy the complimentary, hot breakfast bar daily, and Ruby Tuesday next door is a convenient dinner option. You can work up a sweat in the 24-hour Fitness Center, and then cool off in the seasonal, outdoor pool. There's even a walking and jogging trail on the property, ideal for a relaxing evening stroll. Make plans today to stay at this hotel's historic location in Corinth, MS! !8 hole course with proshop and restaurant facility. Shiloh Military National Park is the site of the famous early Civil War Battlefield fought for the control of the Rail Road systems in the South in April 1862. It was one of the bloodiest battles of the Civil War. National Park Service Museum covering the Civil War battles in North Mississippi and Western Tennessee especially highlighting the Battle of Shiloh (Tennessee). Large Industrial Plant and warehouses located in the Corinth/Alcorn County Industrial Park. Large recreation Lake and Dam area close to Corin th. Golf course area with clubhouse featuring recreation facilities such as tennis courts,large scale fitness center, and restaurant/banquet facility. State of Tennessee Golf Course and driving range close to Pickwick Dam/Lake. Museum by National Parks Service detailing the history of the Civil War Battles in Mississippi and West Tennessee. Civil War Antebellum house which housed numerous Generals. Northeast Mississippi Community College located in Booneville,MS. Municipal recreation Park featuring: Baseball and Softball fields, soccer field, tennis courts, playground area, pavillions, and walking trail. Recreation area and facility featuring : Baseball and Softball fields, basketball courts,extensive fitness equipment, soccer fields, and youth sport leagues.